Ladies, summer is finally here. It is time to take out your swimsuits and vibrant neon clothes along with layers of thick sunscreen. Aisles in stores are stacked with various brands of different SPF quality and it has become confusing to choose the right brand. Some women consider applying sunscreen as a hassle and prefer going without. But if you want to prevent cancer and other skin diseases then don’t take it lightly. Choosing the right sunscreen for your skin and making it an essential part of your morning ritual directly affects your skin health. For this summer, we have the top ten sunscreens strongly recommended by dermatologists. This guide will help you in selecting the best sunscreen solution for your skin type. Ladies, Mineral Ultra-Light Lotion is super light and chemical-free. It is light and completely sheer with very light scent. Moreover, the glycerin and Vitamin E moisturizes your skin and provide an extra layer of antioxidant protection. Ultra-light and mineral formula provides broad spectrum SPF 50+ against UVA/UVB. It is also water resistance and can be applied on all types of skin. It is suitable for everyone in the house from age 6 months and up. This is another light sunscreen strongly recommended by doctors due its broad spectrum protection against harmful UVA and UVB rays. This formula is also suitable to acne prone screen because of its non-comedogenic formulation it will not block your pores. Apart from protecting skin EltaMD UV Clear SPF 46 also calms pimples and reduces inflammation with 9% of transparent zinc oxide and 7.5% of octinoxate. It is rich in Lactic acid and antioxidants helping you in maintaining healthy looking skin. Its non greasy property makes it a must for summer, and perfect for under makeup application. This particular sunscreen not only provides protection from UV rays, but it also fights early signs of aging. It’s special formulation helps in preventing formation of actinic damage (skin DNA damage caused by UV rays). This cream has zinc oxide that creates a protective barrier and blocks harmful UV rays from penetrating your skin. 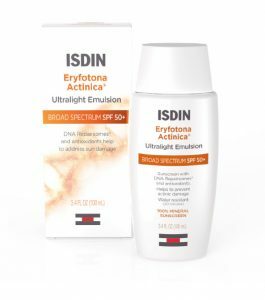 The best ingredient of ISDIN Eryfotona Actinica Ultralight Emulsion SPF 50+ is DNA Repairosomes which reverses existing sun damage skin with a bonus of Vitamin E to maintain your healthy skin. Ladies, this revolutionary sunscreen not only protects your skin from harmful UV rays, but it also helps in restoring your damaged skin. It does not leave any white residue and easily spreads across all skins unlike traditional sunscreen. So you can forget about whiteness and invest in sunscreen without any fear about application issues. SkinMedica is powered by its active ingredients, like octinoxate, octisalate, titanium dioxide and zinc oxide. These ingredients provide broad spectrum sunscreen against trios UVA, UVB and IRA while reducing the appearance of lines and wrinkles. This dermatologist must have is an amazing sun protection pressed powder that provides you with a polished look. 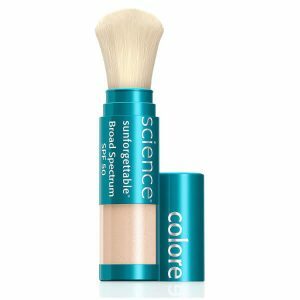 Sunforgettable Total Brush-On provides mineral skin shield alone or over makeup. It is 100% chemical free mineral sunscreen that hydrates your skin. It is also sweat resistant. The bristles of the brush are antimicrobial, which maintains its freshness. This is the most recommended sunscreen by dermatologists due to Helioplex technology. This technology provides broad spectrum UV activity. Neutrogena Ultra Sheer famous for its fast absorption and non-comedogenic properties. This sunscreen provides longer shield protection against sun. This light formulation does not cause breakouts and provides broad spectrum UV without using harsh chemicals. This makes it suitable for sensitive skin. It has a small tint that helps you maintain a youthful look with anti-sweat protection. La Roche-Posay protects your skin from sunburn and sun damage. 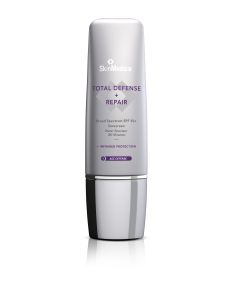 It’s water resistant formula is a combination of titanium dioxide and antioxidants for protection against premature aging. It also has a Cell-Ox shield which prevents free radical damage. This combination of primer and sunscreen is the best solution for ladies who do not want any hassles. It protects your skin by minimizing pores, fine lines, wrinkles and fights against UVA/UVB rays. Nars Smooth & Protect Primer provides broad spectrum sunscreen that protects your skin against environmental damage by leaving little residue on your skin. Its perfect formula is oil free, thus giving you that non-greasy look. 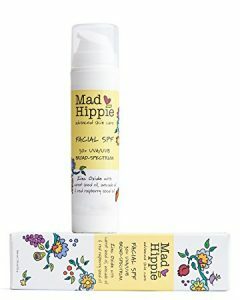 This chemical free Mad Hippie Facial SPF has zinc oxide that is the safest and most effective natural blocking agent against UVA/UVB rays. It has a mixture of naturally photoprotective oils, red raspberry seed oil, avocado oil and carrot seed oil, Vitamin C, Vitamin E and Ferulic acid provides a broad range of antioxidant protection from sun aging. Palmer Cocoa Butter Formula Eventone Suncare contains active and natural ingredients to protect your skin from the damaging effects of the sun. It helps in maintaining a youthful skin by naturally moisturizing it. This cream can be used to protect your face, lips and ears, whether on the go or at the beach. These collection will ensure that you don’t spend time on deciding what to choose. Regular use of sunscreen is one of the most important health regime that you need to include in your skin care daily routine. It not only shields your skin cancer but most of the creams also helps in providing important nutrients for your skin. Do you have more questions regarding your skin health? Do you want to ask how to maintain fresh skin? We can answer your queries. Our panel of accessible doctors are 24/7 available to guide and help you. 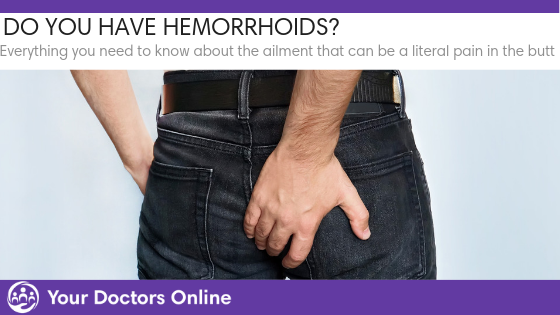 Chat free with our doctors today.